I wanted to use this quote to illustrate two things. First, is the concept of Kaizen, which can be thought of as little improvements over time. These little changes in our workplace should make things easier; typically they are low cost and low risk. They are the one hundred small modifications that add up to lasting progress. Sometimes it seems like we have an uphill battle when we are trying to spread Lean thinking and implementation. While performing an annual review of a successful 5S program that we helped a healthcare company establish, I asked the 5S Coordinator “Why do you think his is going so well?” Her reply was that people realize that this isn’t going away; this is something that the organization embraced and will continue to do. She also mentioned that it took a while to get there. She also said that if they didn’t keep at it, it would have just become another flavor of the month. Keep running. 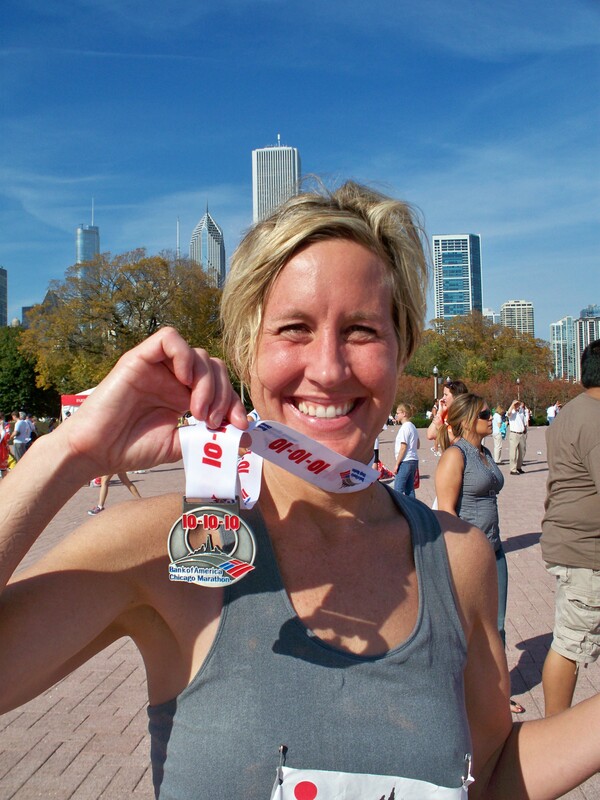 Jennife Molski, Customer Care manager 5S Supply finishes Chicago Marathon 10-10-10. The second thing I wanted to share was that Jennifer Molski, Customer Care Manager from 5S Supply ran in yesterday’s (10-10-10) Chicago Marathon. She did all the proper things like train and eat right, but an unfortunate injury during training made it painful to run. That didn’t deter her. She got out there and did her best. She kept going even when it was hard – that’s perseverance. Thanks to all of those who supported Jennifer during this time.